Wow. 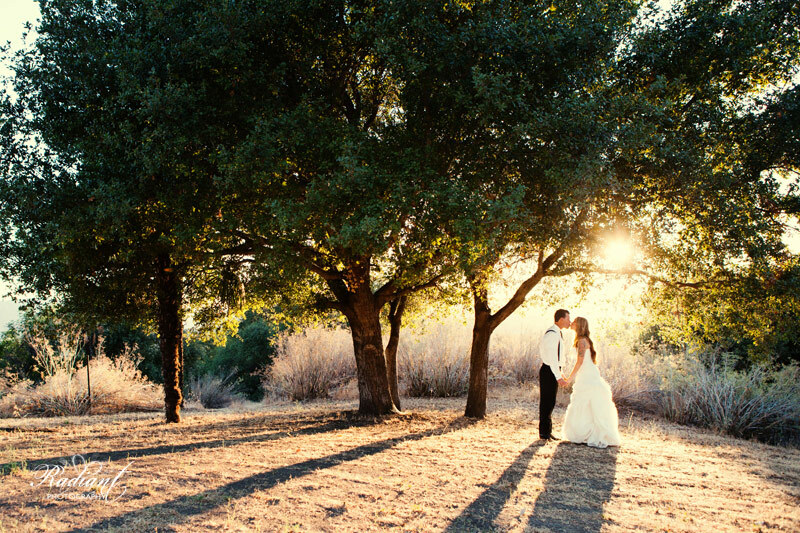 Just wow is what I said when I heard about all the different aspects that were going to be a part of Fawn and John’s wedding at Condor’s Nest Ranch in Pala, California. …and a house designed by Frank Lloyd Wright? Um, I don’t believe you. That’s just too perfect. Even as I’m looking through the photos again now, I have to pinch myself so I know I’m not dreaming. Luckily I decided to believe that Fawn and John weren’t pathological liars and were in fact telling the truth, because as you can see I would’ve been eating my words had I argued that such a perfectly vintage and adorable wedding location couldn’t possibly be in existence. Condor Nest Ranch is definitely a real place, even though you feel like you’re in a dream world when you’re there. Everything moves in slow motion (so you know exactly how significant the moment is), the light is just a bit more glowy to make it feel like a dream from a 90′s TV show, and the people there laugh just a little bit hard and for a little bit longer than in reality (but not in a creepy way). But of course that’s how it felt, it was Fawn and John’s wedding after all! At such an incredibly amazing event, there’s no room for reality! Not only was the location a product of fairy dust, but the details themselves looked like they were designed with a little help from a fairy godmother… or at least someone with a few spells for mixing perfection and burlap up their sleeve! As you can see, it was incredible! Despite the perfection of this wedding, Fawn wasn’t putting in unnecessary stress to make it that way. She was cool as a cucumber as she wandered through the real version of that dreamy world she’d pulled out of her head. John and Fawn never panicked, freaked out, or any of those scary terms that are often associated with wedding days. They just hugged, laughed, and danced through it all. It was so wonderful to watch them as they truly enjoyed every single second on their wedding day. Fawn and John, we can’t tell you how excited we are to see a couple as obviously perfect for each other as you guys are, get married on such an incredible day. Your wedding was beautiful, your joy was contagious, and the amount of love that your family and friends have for you was evident everywhere. Bottom line, both you and your wedding rocked. Rock on love birds. 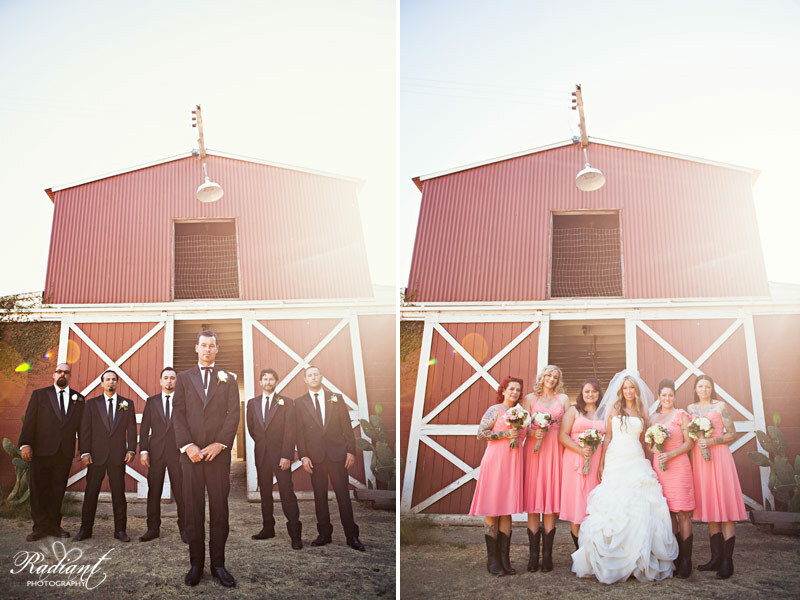 Click to see the rest of the photos from Fawn and John’s real unreal wedding day. (photobooth pictures are there too!). I have to admit, when Paige and Josh called us to do a photo session with them and their dog Robotron, I wasn’t too happy about it. I know, that’s weird right!? Usually I (Breanna) start off a post by saying something like “When Paige and Josh called us to do a photo session with them, I was so excited that I actually squealed out loud and had to run to the bathroom because I was going to pee my pants!”. Well you have to understand, this session was not a normal session. The reason Paige and Josh wanted to have the session is because they’ve recently received some bad news about Robotron’s health so they wanted to capture these last moments with their family all together while they could. Now you know why I wasn’t super excited to get this call from them. It was different than the normal celebratory photo sessions we typically do to commemorate important times in people’s lives. Actually, maybe this session wasn’t different at all! We were in fact commemorating their lives and time together, which is a very celebratory thing! … as well as some photos and of the whole family cuddling as they’ve so often done together since Josh entered into their duo and made them a fully unstoppable team. So really, we’re celebrating…. we’re celebrating all the time these 3 have gotten to spend together. And we’re celebrating Robotron’s awesomeness. Because not only is his name freaking cool, but he is as well. He was definitely one of the easiest dogs we’ve ever shot. He gave us some cute and playful moments to work with, as well as some posed times where he patiently sat still while we found just the perfect angle after we’d placed him in just the right lighting. Believe it or not, most dogs don’t really value the significance of what we’re trying to do or respect the fact that we’re working really hard to make them look their best! But Robotron seemed to sense our desperation to get the money shots, so he kindly obliged and bowed to our whims. Thanks dude. We truly felt honored to get to be involved in such a special moment in Paige, Josh, and Robotron’s lives. This is a beautiful family and we’re so happy we were able to capture them just as they are now. Thanks Robotron, I hope you know that you’re loved and you’ll be missed. You’re one of the great ones. Good boy. Click to see the rest of Paige, Josh, and Robotron’s great day together, here.